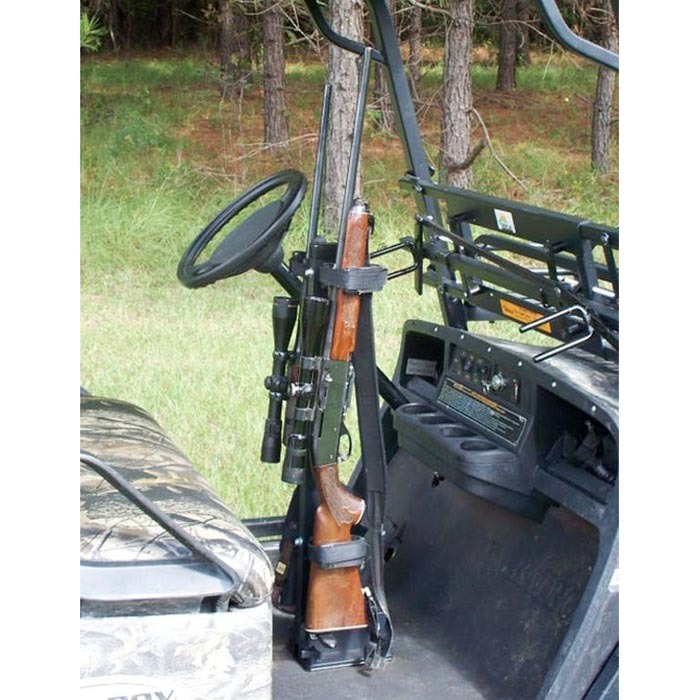 Here's a universal mounting, two-gun rack that puts "Ole Betsy" at your fingertips as you cruise your hunting property. 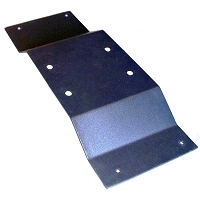 Mounts in a "stand alone" fashion and can be positioned for quick access and maximum use of passenger space. The Quick-Draw holds two guns (shotgun, rifle or muzzleloader) securely and protected in a soft, cushioned cradle. Unlike conventional clips and loops, our unique Velcro pull-tabs form and fit the holding cradles to the exact size of the stock or forearm of the gun it is holding - no more loose fits to disturb the sight and scope settings! 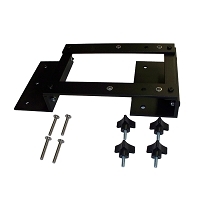 The Quick-Draw comes complete with all necessary hardware for quick and easy installation. 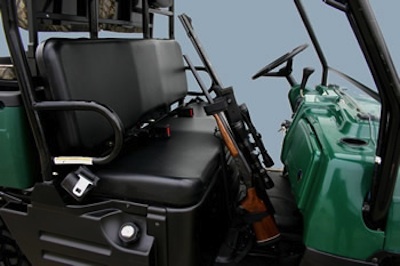 NOTE: The QD800 can be mounted with or without an adaptor plate, in a UTV or cart, with a completely flat floorboard with no center ridge, shifter, or console.